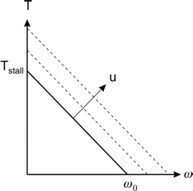 For higher voltages, a higher stall torque and no load speed is found but the steepness does not change. 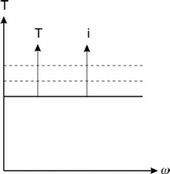 So both the maximum current and the maximum torque appear as horizontal lines in the torque speed plot. 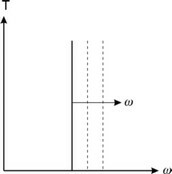 The maximum velocity can be directly indicated in the torque speed plot as a vertical line. 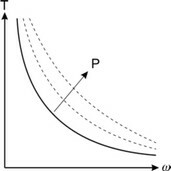 The line of maximum power can be indicated as a parabola in the torque speed plot.